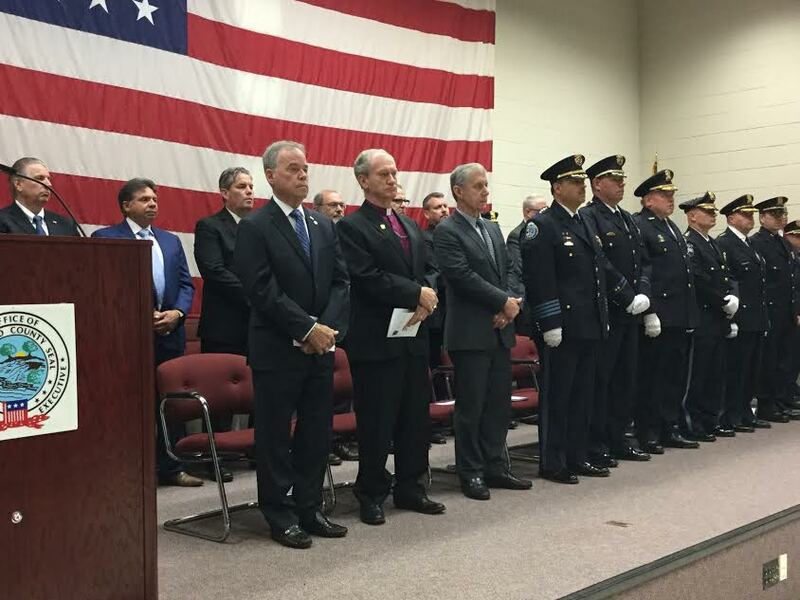 Officials including Rockland County Executive Ed Day, Rockland District Attorney Thomas Zugibe, Rockland Sheriff Louis Falco III, police chiefs from all Rockland departments, and others from throughout the county and state were on hand to congratulate the newest graduates of the Rockland County Police Academy. Recruits came from all over the state to be part of the graduating class. The graduation will be the last for Police Academy Director Steven Heubeck, a former FBI agent and Army Intelligence official who is retiring.